1. Saturday was great – my husband and I went out for breakfast with our college son. Then I went to a jewelry show at my neighbor. 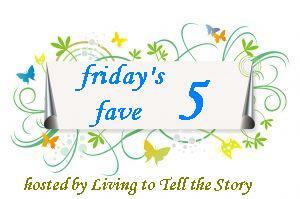 Then a movie, shopping and dinner with a friend. 2. On Monday, at our running club’s weekly run – a few of us spent a relaxing hour in a friend’s outdoor hot tub after the run. 3. 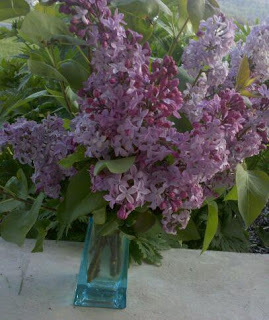 Love flowers – so I’m happy my lilacs are blooming. Yes, I’m reading all these at the same time – told you I’m bouncing from one thing to another. 5. Last weekend I planned a weekly menu for the first time in years and actually stuck to it this week … well, expect for one night, but for this week, that’s was good. Hi, sorry I am sooo late coming around this week. Very hectic weekend. I can totally relate to several things going at one time. Your lilacs are beautiful. I'll bet they are smelling lovely!